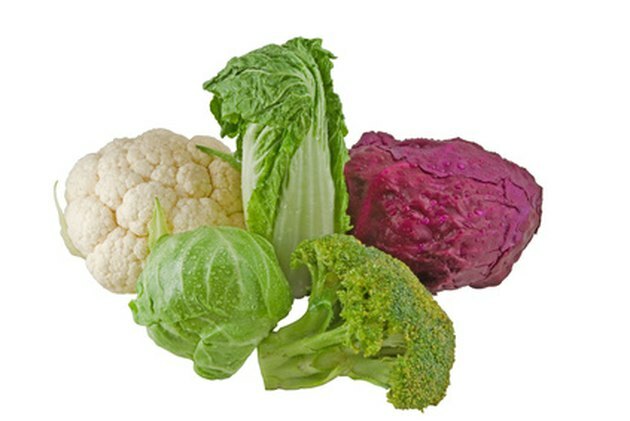 Diindolylmethane, or DIM, is a natural chemical formed in your digestive tract from a compound called glucobrassicin, which is contained in cruciferous vegetables such as broccoli, cauliflower and cabbage. DIM supplements also are available from many retail sources and might help prevent or suppress growth of several forms of cancer, including breast, colon and prostate cancer. Consult your doctor to discuss whether consuming a DIM supplement is a good strategy for you. Human papilloma virus, or HPV, is a microorganism that causes several disorders, including a form of cervical cancer and a lung disorder called respiratory papillomatosis. DIM might help reduce the symptoms of these disorders and suppress their recurrence, possibly by inhibiting growth of the virus. In a small clinical study of subjects with respiratory papillomatosis published in "Journal of Voice" in 2004, consuming DIM seemed to lessen recurrence of the disease, measured five years following treatment with the supplement. These are promising findings, although larger, carefully controlled studies of DIM and viral infections are needed. DIM also might promote healthy metabolism of estrogen and relieve some problems caused by estrogen imbalance. According to Thomas Lee, NMD, the compound seems to promote conversion of estrogen to healthy metabolites, leading to a better balance of natural estrogens in your body. The result might be some improvement in the symptoms of perimenopause, chronic breast pain caused by high estrogen levels and discomfort caused by premenstrual syndrome. Diindolylmethane supplements are available in capsules or tablets from most health food stores. Although a recommended dose has not been established, a dose of 108 mg daily has been used in clinical studies with no significant side effects. Do not take DIM supplements if you are pregnant or breastfeeding. If you take any prescription medications, discuss use of DIM with your doctor to determine if it is appropriate for your situation. What Are the Dangers of Taking Bovine Pituitary Extract? What Is a DIM Supplement?